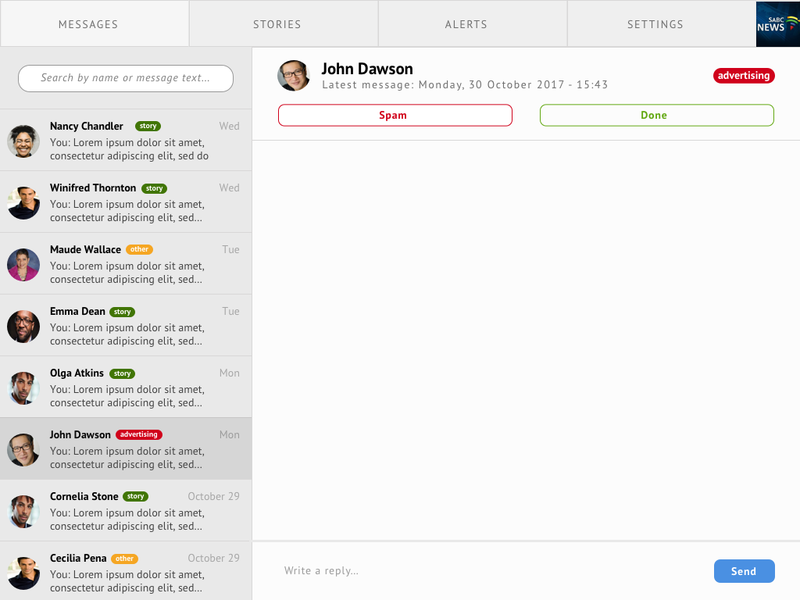 Eyewitness is a bot platform for media organisations and brands to engage with their audience through Facebook Messenger. It provides a turn-key solution for pushing out updates and collecting stories and media. More features are being added all the time. 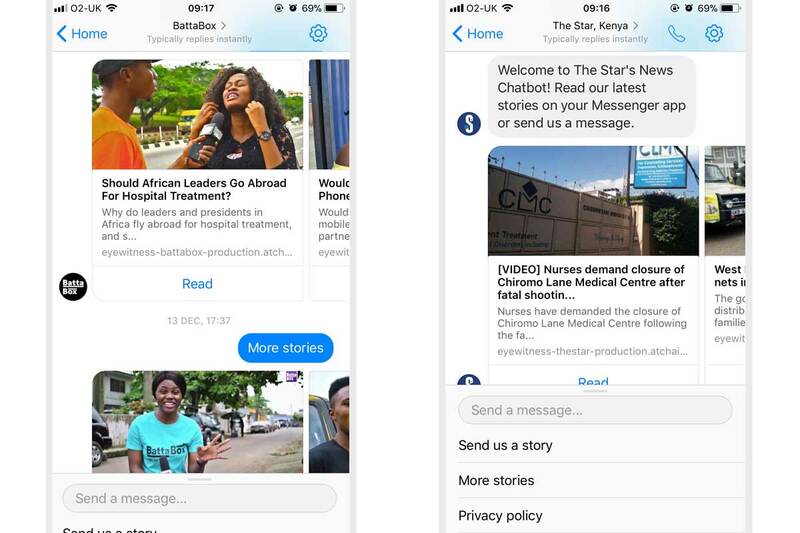 We have recently received funding from #innovateAfrica to develop an open source version that will enable African journalists to leverage their community on Facebook to gather opinions, tip-offs and quotes. Pilot clients include the South African Public Service Broadcasting Corporation, The Star newspaper in Kenya and Battabox in Nigeria. If you’re interested in being a pilot customer in Africa, Europe or US please get in touch.